Full Sail Partners is pleased to welcome Theresa DePew to our consulting team. As a Finance Consultant, she will be supporting Full Sail Partners’ clients across the United States regarding Deltek Vision and Deltek for Professional Services. Additionally, Theresa will be responsible for the implementation of Concur Expense & Invoice for those clients who choose this add on service. 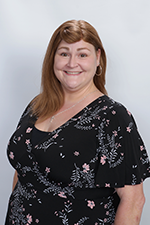 Theresa has fifteen years of experience working in corporate accounting both as a Project Accountant and in accounts payable. Her past industry experience includes working with project managers and other staff to ensure projects are in budget and closed in a timely manner. Theresa has also previously assisted in the implementation of both Deltek Vision and Concur Expense software. “Having been a Deltek Vision and Concur client on the firm side, I am so excited to work as part of the Full Sail Partners’ consulting team. Using my prior experience in corporate accounting, I feel like I can really understand the needs of Full Sail Partners’ clients,” said Theresa DePew. With both Vision and Concur experience under her belt, Theresa will be able to immediately fill in our increasing Vision consulting services as well as be a Concur implementation expert. More and more Full Sail Partners’ clients are choosing to not only get the most out of their Deltek Vision systems, but also to streamline their processes with the Deltek Vision to Concur Blackbox Connector. It is an exciting time, and Theresa will fill a vital role in keeping up with client needs. “With our ever-increasing client requests for Deltek Vision consulting services and Blackbox Connector offerings, we were looking for a champion who could take on these efforts. In Theresa, we have found the perfect skill set with her knowledge of and experience with both Deltek Vision and Concur Expense. We are thrilled for her to be part of the consulting team at Full Sail Partners,” stated Scott Seal, VP of Consulting.